We're pleased to have Samantha Young stop by to give us the scoop on her latest novel, THE IMPOSSIBLE VASTNESS OF US. Samantha, what was your inspiration for writing THE IMPOSSIBLE VASTNESS OF US? I was really inspired by the social and emotional journey of our teens and early adulthood. A big part of growing up is learning perspective, sympathy, compassion and looking beyond what people want the world to see of themselves, and what’s really going on beneath the surface. As kids we’re so literal and we generally don’t have the ability to see people’s layers until we get older. It’s a huge part of coming-of-age. It sparked the idea of creating a character like India who has been through a lot in her young life, but is so wounded by her past that she has a difficulty seeing beyond her own pain to the fact that she’s not the only person who has been through/or is going through something. She meets these two teens who seem like one thing to the world but are hiding who they really are, and she begins to realize that she’s not alone, and that people are far more complicated than she could have ever imagined. There is a scene near the end of the book when the main character, India, confronts her mother about their past and the consequent problems in their relationship. It’s an incredibly emotional and heartbreaking scene for India because there is no magic wand to make things better. I have a great relationship with my parents so I had to really imagine what life would be like if I were India. I remember the deep ache in my chest, like grief, as I wrote that scene, and I cried so hard while I wrote it. Hopefully the pain I felt on India’s behalf comes through and readers really respond to what she’s going through. More than anything I want my readers to care for my characters, and if I accomplish that, then yes, I’m proud. How long did you work on THE IMPOSSIBLE VASTNESS OF US? TIVOU was truly a labour of love. I started the writing process for this novel in April 2015 and its final draft was completed at the end of December 2016. It’s the longest I’ve ever taken from start to finish to complete a novel but myself, my wonderful agent, and my fab editor at Harlequin TEEN wanted to treat it with the care, detail and attention that the characters, and what they represent, deserved. I know how to watch my back. I’m the only one that ever has. 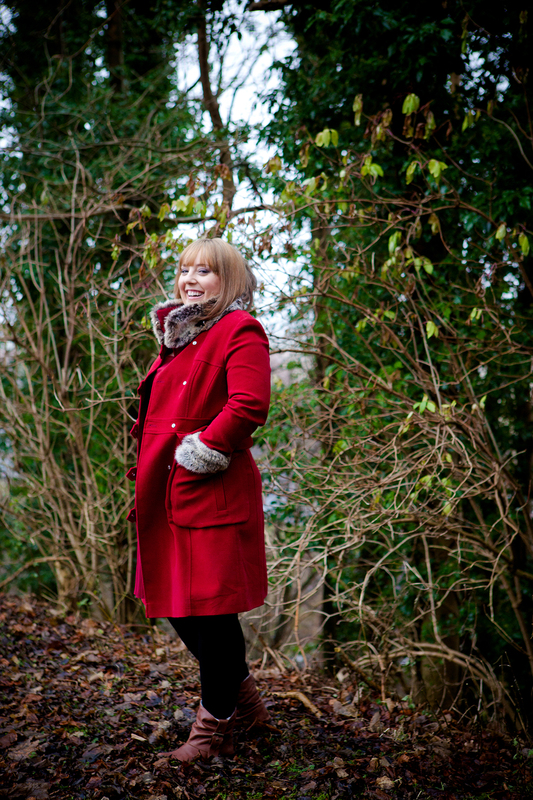 Samantha Young is a New York Times, USA Today and Wall Street Journal bestselling author from Stirlingshire, Scotland. She's been nominated for the Goodreads Choice Award 2012 for Best Author and Best Romance for her international bestseller ON DUBLIN STREET, Best Romance 2014 for BEFORE JAMAICA LANE, and Best Romance 2015 for HERO. ON DUBLIN STREET is Samantha's first adult contemporary romance series and has sold in thirty countries. 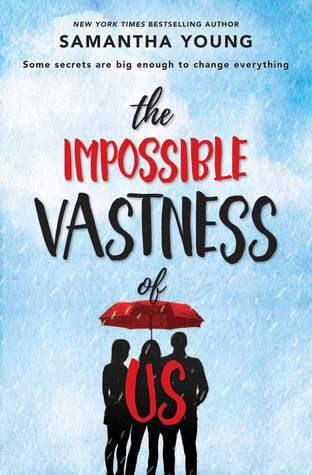 Samantha's YA contemporary lit debut THE IMPOSSIBLE VASTNESS OF US releases from Harlequin Teen June 2017. Visit http://authorsamanthayoung.com for more information. Have you had a chance to read THE IMPOSSIBLE VASTNESS OF US yet? Have you cried while writing a scene? Do you go back and forth between typing and writing by hand? Share your thoughts about the interview in the comments!